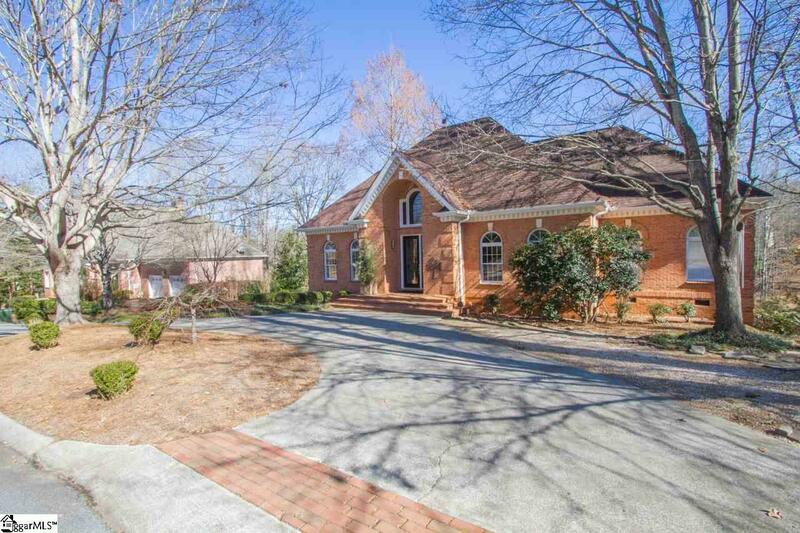 Introducing, 105 Greenleaf Lane, a stunning and sophisticated hidden gem; located 10 miles south of downtown Greenville, in the well-established Middle Creek neighborhood. Beautifully sited on .41 acres with dazzling water views by day and twinkling star lights by night. 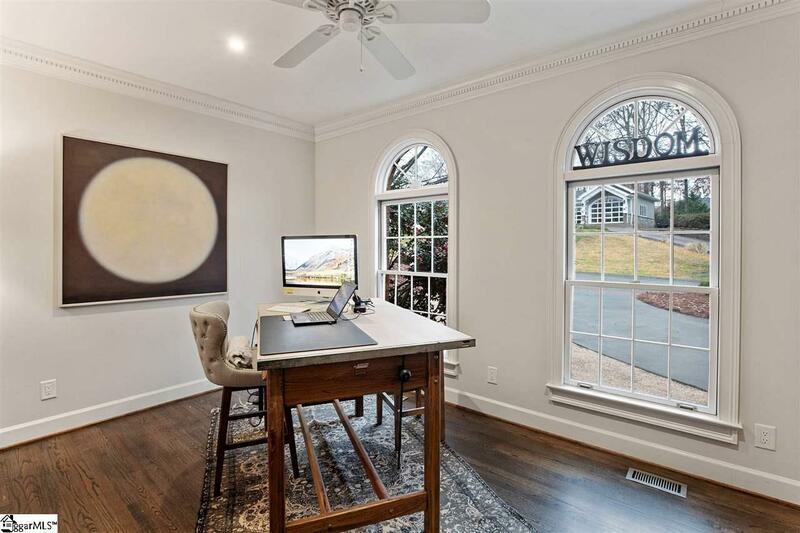 Dont let the traditional semblance deceive you; dynamic renovations and breathtaking views will make you fall in love with this 4 bedroom / 4.5 bath home. The open concept main level makes relaxing and entertaining a breeze and features a chefs kitchen, boasting granite countertops, Italian porcelain backsplash, 2 large islands, coffee bar and pantry, stainless steel professional quality appliances, a 48 inch, 6 burner gas range and storage galore. 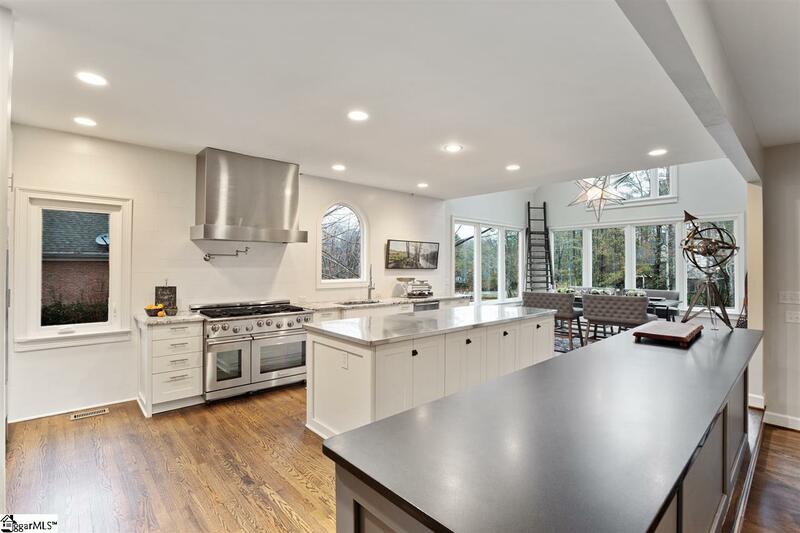 The stunning kitchen includes a breakfast room with vaulted ceilings, skylights, oversized windows and French doors that lead out to the screened in porch and large back deck overlooking the lake. The space opens up into a large, light-filled living room, with gas fireplace. On the other side of the home, a private, main floor office suite overlooks the shade garden in the front yard. 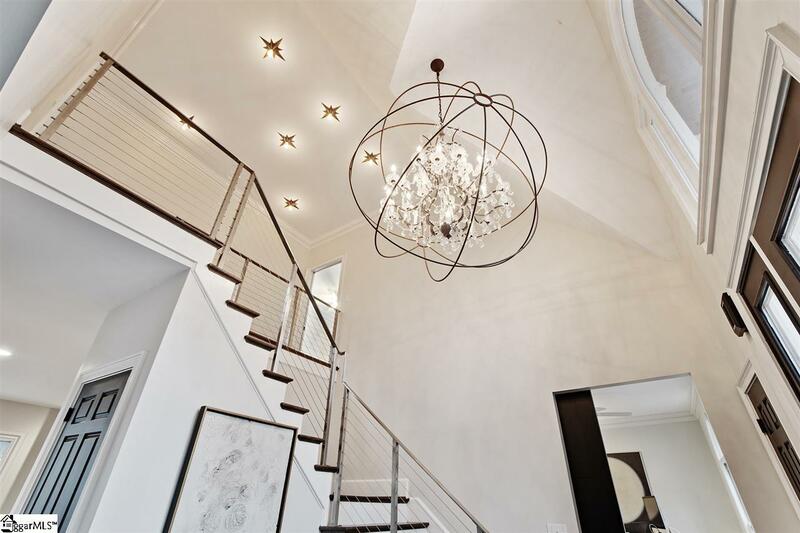 The two-story entry foyer features a grand chandelier and custom stainless steel railings leading to the second floor. On this level, two beautifully appointed junior master bedrooms/ guest rooms can be found, each with its own completely updated private bath. Large walk in attic storage rounds out the second-floor space. The Master Bedroom is a secret hideaway on the main floor. As you first step into the private oasis the large custom designed his and hers closet area waits to welcome you. An oversized soaking tub, zero entry marble shower, loads of hidden storage and show-stopping double marble vanities, featuring mother of pearl backsplash, await you in the spa quality bathroom. Vaulted ceilings, skylights, gas log fireplace, and sitting area complete the master retreat. Downstairs an oversized laundry / craft room with granite counters and additional custom-built in storage will have you excited to do household chores. This level boasts a bright and welcoming additional guest bedroom with large walk-in closet and full bathroom. A large bonus family room and den walk out to the lower terrace to take in the gorgeous views from the private, shaded patio. Perfect for the passionate craftsman, the workshop space is large and accessible from a separate entrance off of the back patio. Also down at lake level you have access to the attached garage and back yard, This beautiful home has a no- fuss yard complete with drought resistant landscape designed to flourish. Mature trees and perennial gardens surround the home on all sides. Every room in this home has been designed with style and function in mind. Be sure to review the extensive list of updates/renovation. Extra lot (.44 acres) available next door (see MLS#1359122). Call for your private tour, this home will not disappoint. Again, this hidden gem is located 10 miles south of downtown Greenville and less than 5 miles from I-85 and Hwy 123, making for no hassle travel to just about anywhere. Also, less than 20 miles to Clemson University and 30 miles form Lake Keowee and Jocassee. What else could there be on your wish list? Listing provided courtesy of Cindy Fox Miller of .